Vote for My Codestock 2013 Mobile Talks! If you live in the Southeast and are a coder (or interested in being one) then hopefully you already know about Codestock hosted annually in Knoxville, TN. Codestock is awesome because it has been community driven from the start, so it isn't tied to any specific development stack. You'll find everything code related from web to mobile to desktop across a plethora of coding languages and technologies being discussed as well as a lot of surrounding topics like GTD, careers, etc. 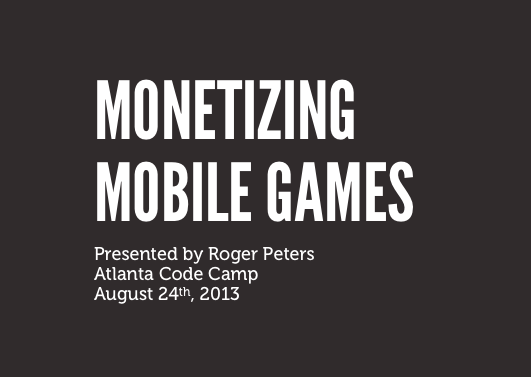 I have submitted two talks to Codestock this year - both are mobile related (surprise!). I spoke at Codestock a few years ago, and after looking through all of their submitted sessions I realized that Codestock is going to be much more massive this year than ever, and I have little to no chance of my sessions being selected without your help! So, here are my two proposed talks - sign up to go to Codestock, and vote for my sessions pretty please! Hope to see you at Codestock 2013 this year! I had a great time at Codestock this year presenting on Xamarin.iOS. Thanks to everyone that voted for my talk! 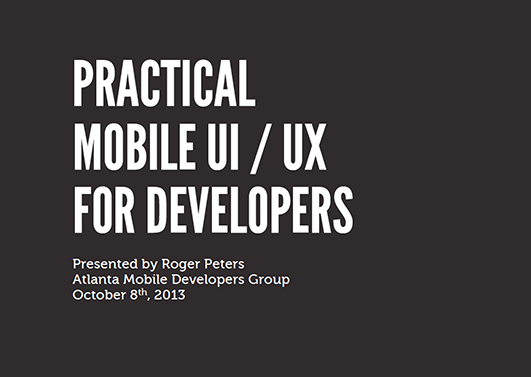 Read more about Vote for My Codestock 2013 Mobile Talks!